The New Jersey Nordic Ski Club is the only club in the Garden State devoted solely to cross-country skiing. We are a recreational club with members at all skill levels. We offer one-day, weekend, and week-long ski trips from December to March. We also hold monthly meetings featuring educational presentations on various aspects of cross-country skiing. 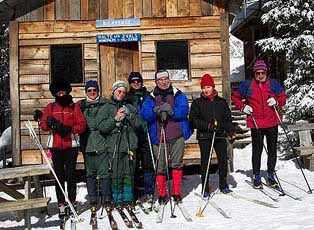 Most of our trips also include snowshoeing. We welcome new members, including beginners.